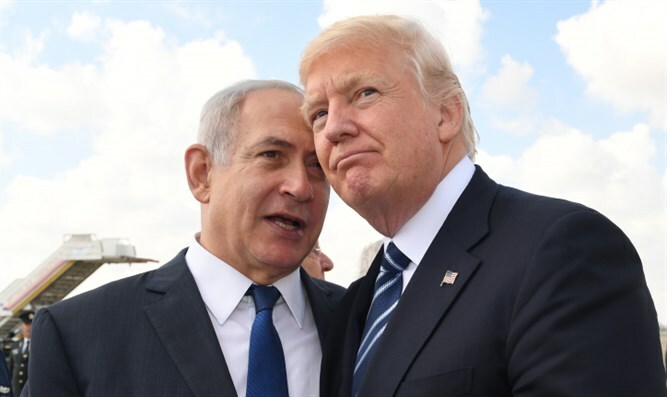 Prime Minister Netanyahu thanked President Trump for his opposition to the 2015 Iran nuclear deal during an interview regarding his dramatic unveiling of the Iranian nuclear archives that Israel had seized. "President Trump has stood so firmly and so clearly on this issue and has said that it will not happen. That is something I fully back and I think that not only is it in the best interests of Israel and the United States and Israel- that's obvious, but an interest for the whole world. This tyrannical regime should not have nuclear weapons," Netanyahu told Fox News. "They hate America. They hate America's guts," Netanyahu said, who warned that Iran would go nuclear if the 2015 Iran deal was not scrapped. "Iran is gobbling one country after another," Netanyahu said. "It's threatening to annihilate Israel, it's trying to put its army in Syria in the service of a tyrannical regime. They are putting precision missiles in Lebanon- that means that they can fire rockets into Israel that can hit the office I am speaking in." "They're trying to fire rockets into Israel from Gaza, they're trying to fire rockets into Riyadh from Yemen- that's what they're seeking to do now."